In rural areas, especially those susceptible to wildfires, it’s essential to protect everything that’s important – your family, your home and your stock. Part of being prepared means having a plan in the event of danger, taking steps to organize and maintain your property and having sufficient water storage on site. Aquamate’s range of fire water storage tanks is ideally suited to providing protection for homes and barns in wildfire prone areas. 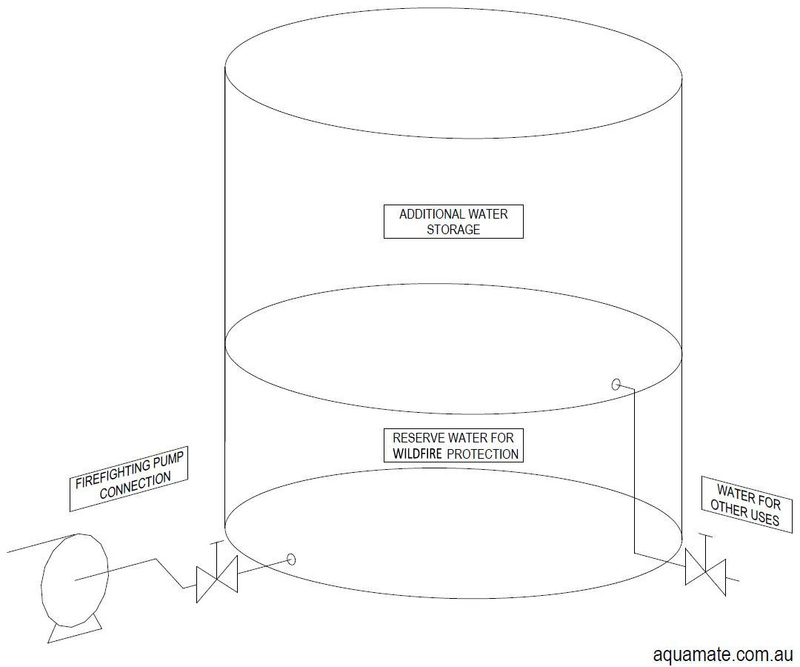 Benefits of an Aquamate Fire Water Storage Tank? 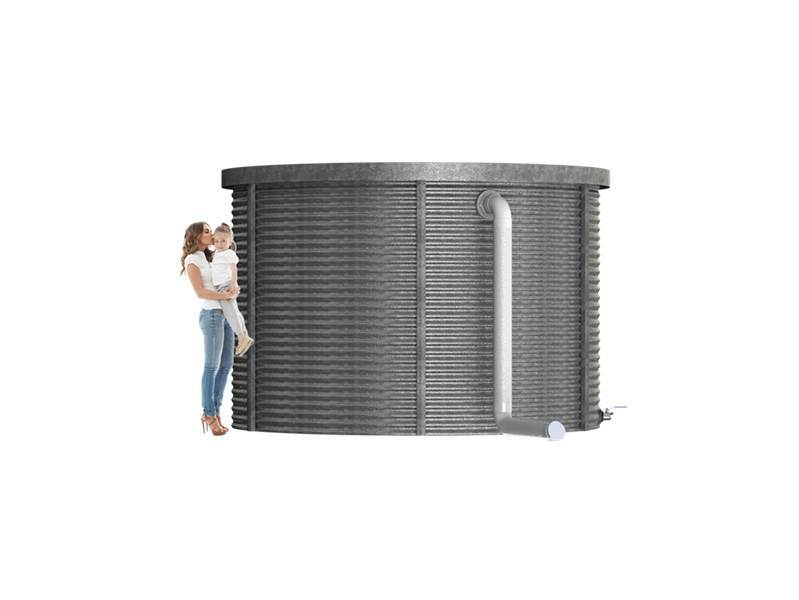 Our unique combination of lightweight, heavy duty galvanized, corrugated steel wall panels and flexible polyethylene tank liner allows Aquamate to offer premium fire tanks for sale at a very competitive price. Lightweight steel panels and heavy duty galvanizing make Aquamate’s fire water tank shells perfectly suited for water storage. 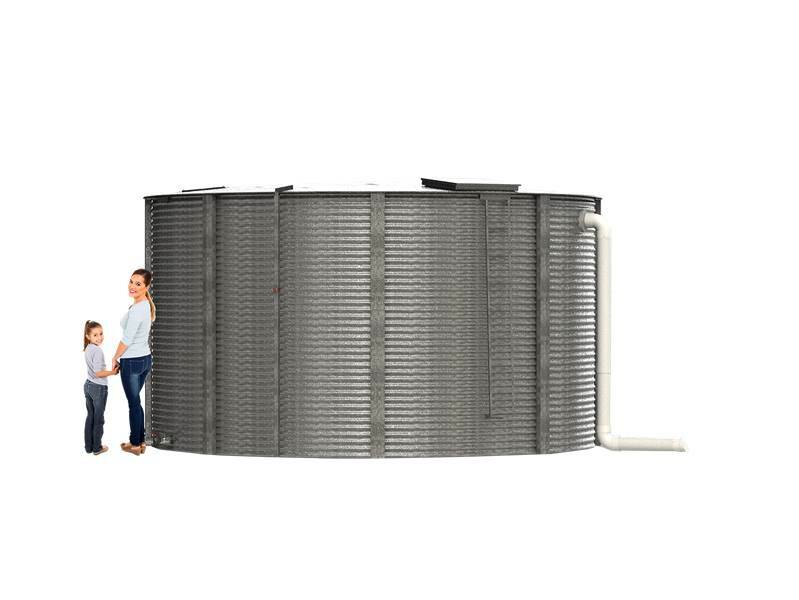 Aquamate’s tank panels are covered with a galvanized coating that’s 1.45 ounces per square foot (G145) – the thickest advertised coating on the market. 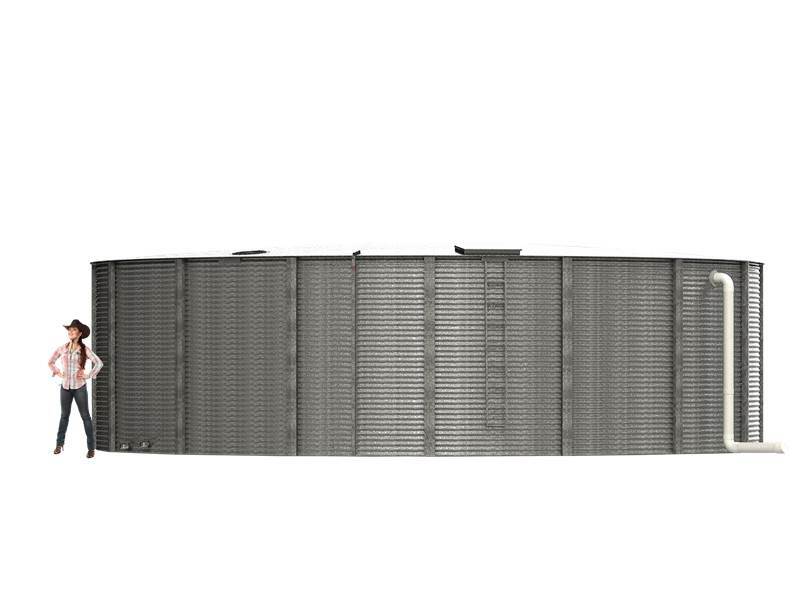 By using lightweight thin-gauge steel panels, Aquamate’s fire tanks have all of the required strength to resist water, snow and seismic loads without the excess material cost. 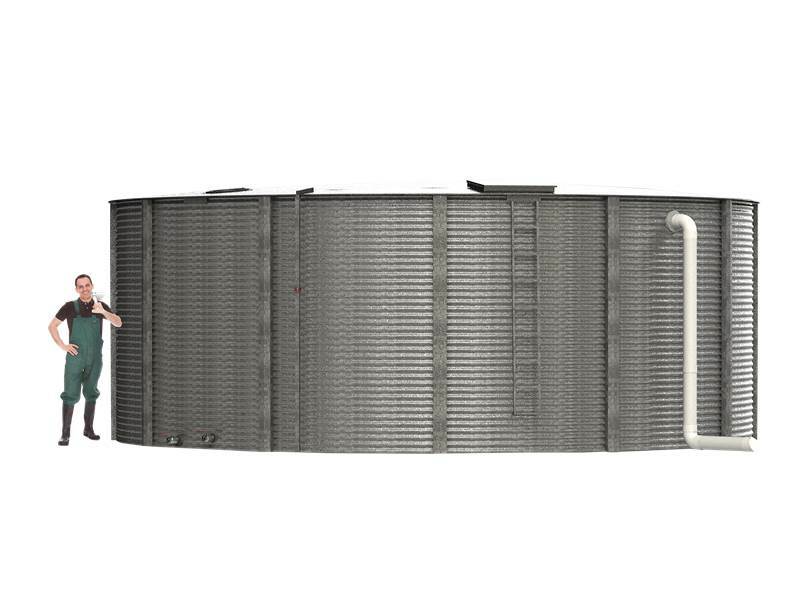 We use a BPA and pesticide free, solid food grade tank liner suitable for potable water use and certified to ‘NSF/ANSI 61:Drinking Water System Components – Health Effects’, as opposed to a coated mesh, because a solid liner is resistant to fatigue cracking and super stretchy – important characteristics needed for a durable steel water tank. Consider installing a sprinkler system and reserve water tank. Fire water storage tanks need to withstand the different types of heat and flame conditions during a wildfire. 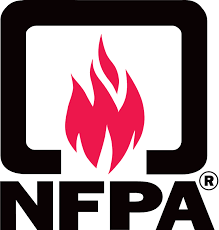 Red-hot ambers from leaf litter or ones blown during high winds can affect the performance of your fire water tank, as well as radiant heat from approaching fire and direct exposure to flames. 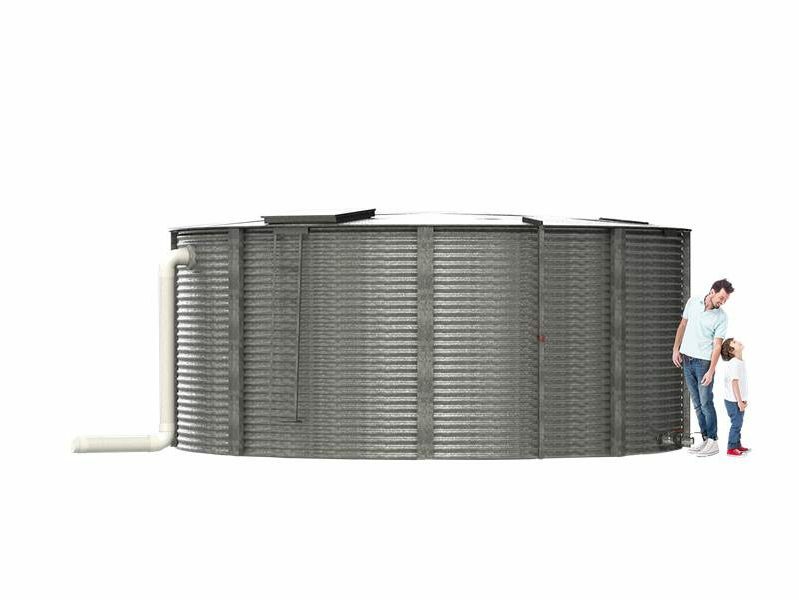 Galvanized tanks come in two types; rolled galvanized tanks for small volumes around 5000 Gallons and bolted liner tanks for 5,000 Gallons and up. Even when exposed directly to flames, Aquamate’s fire water storage tanks continue to be effective. 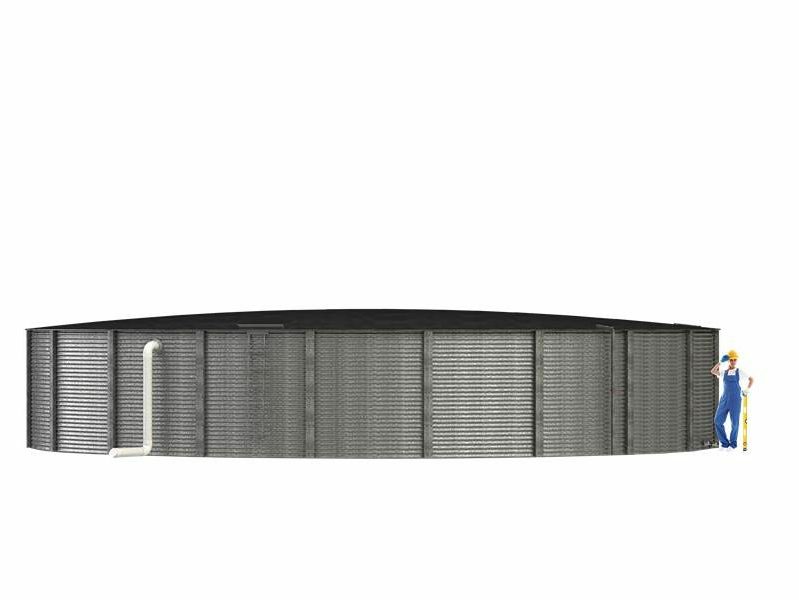 Under a direct flame, the exposed sections of liner above the water line will melt, but because the liner material floats, the fire tank can continue to hold the majority of its water until empty. Aquamate has been manufacturing fire water tanks since 1986. We engineer fire tanks from 5,000 to 102,000 gallons. 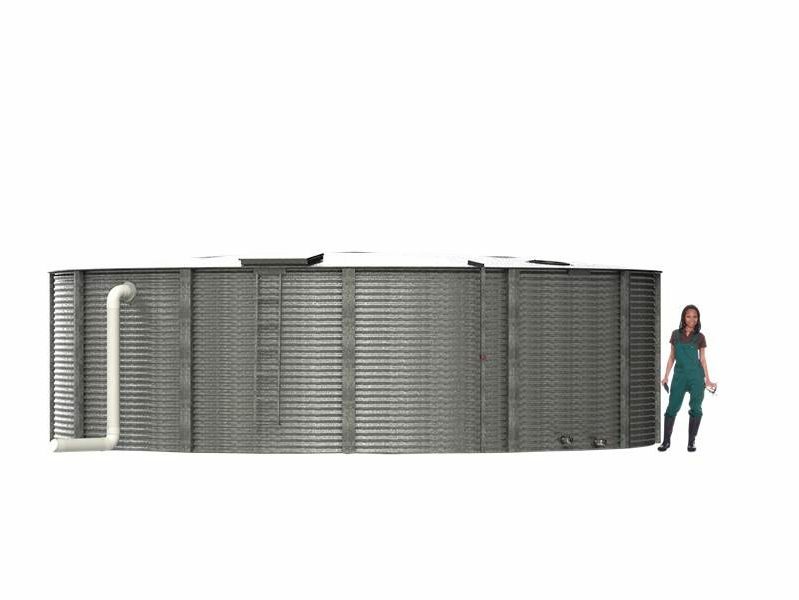 Our fire water tanks are engineered in a state of the art facility. 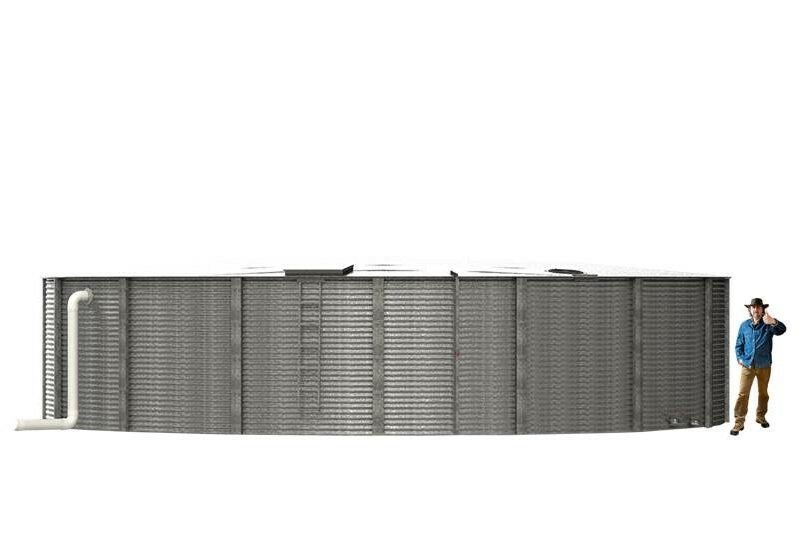 For our fire tanks, we use a galvanized tank shell, rather than a Zincalume shell, which means no sacrificial anodes. Our galvanized fire water tanks have three main applications. 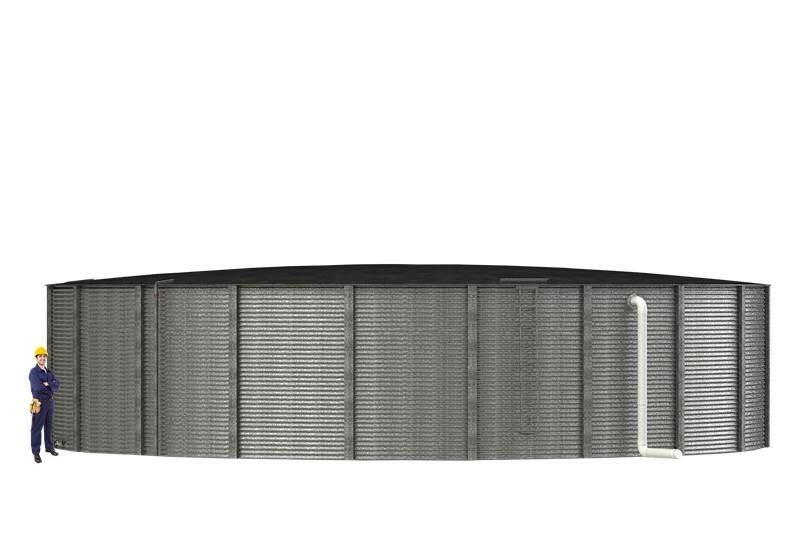 They are used as rainwater collection tanks, fire tanks, and well water storage tanks. 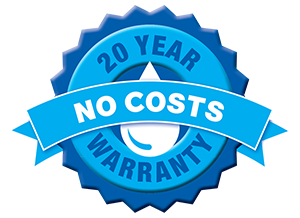 A fire tank from Aquamate has a 20 year “No Service Costs” Warranty.